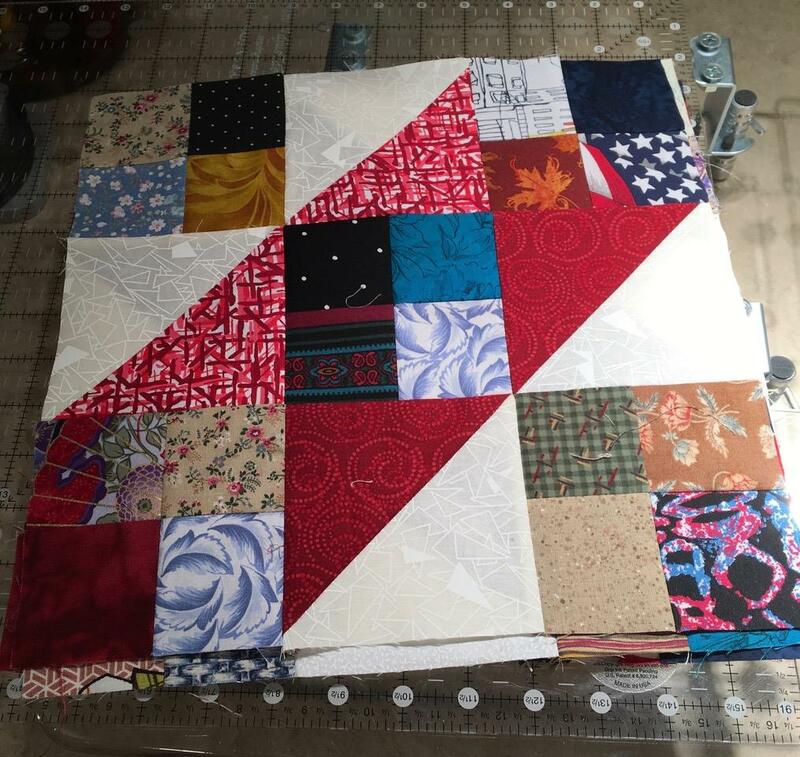 Remember the stack of four-patch blocks, I made from my 2.5 inch scrap bin in early March? I combined them with some half-square triangles to make twenty Jacob's Ladder blocks. Very pretty. The little neutral blocks really make the colors pop! I don’t think there is a quilt you have made that I didn’t like. I really like how the centers of these resemble a ladder. Very cool. What a great quilt! I looked back at the other one and love it. Especially the backing. I am going to keep this idea for a scrappy QOV in the future. 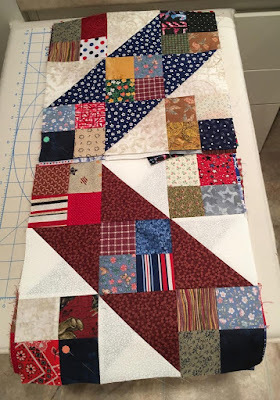 I love a scrappy quilt! Oh my it looks great! Very nice Nancy! I, too, went back to look at the one from 2015 - gorgeous!! And love how you used the extra scraps on the back. Beautiful scrappy blocks! I love the Jacob's Ladder block - scrappy or planned, it always looks great. Oh - I like that idea - another one to add to the to-do pile! I love the combination of the four patch and the ladders. I found a photo of us driving through Wyoming yesterday. The welcome sign was surrounded by flat and open land. I remember feeling it was so remote. Your posts make it seem like people really live in that great State. Kudos for getting those 9 patches a new home! I've made 4 patches or 9 patches in the past and then let the sit in a drawer. I congratulate you on getting them in blocks -- which I KNOW you will get into a quilt sooner rather than later! How nice the fabrics work out together!!!!! I like the scrappy yet orderly look of these blocks! So creative. When I saw the stack of squares, I had no idea where you were going. Then you put the together so perfectly! Jacob's Ladder is a great looking block!